between Neymar JR. and GaGà Milano. 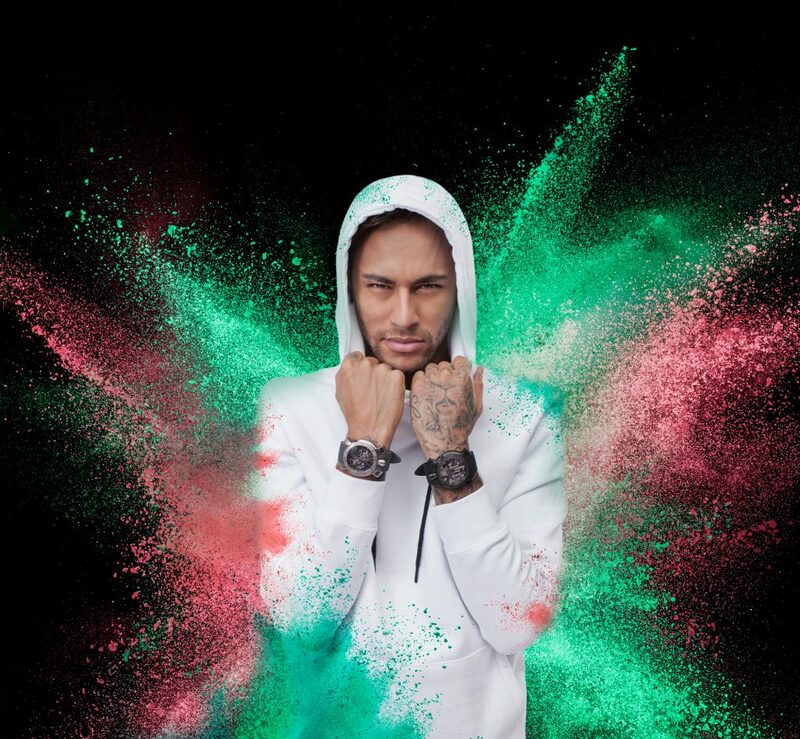 Neymar’s passion for GaGà Milano watches, which started in 2016 when he walked into the GaGà Milano Boutique in Tokyo, to the amazement of everyone present, has now turned into a collaboration in all aspects. The most extraordinary things are often unexpected! 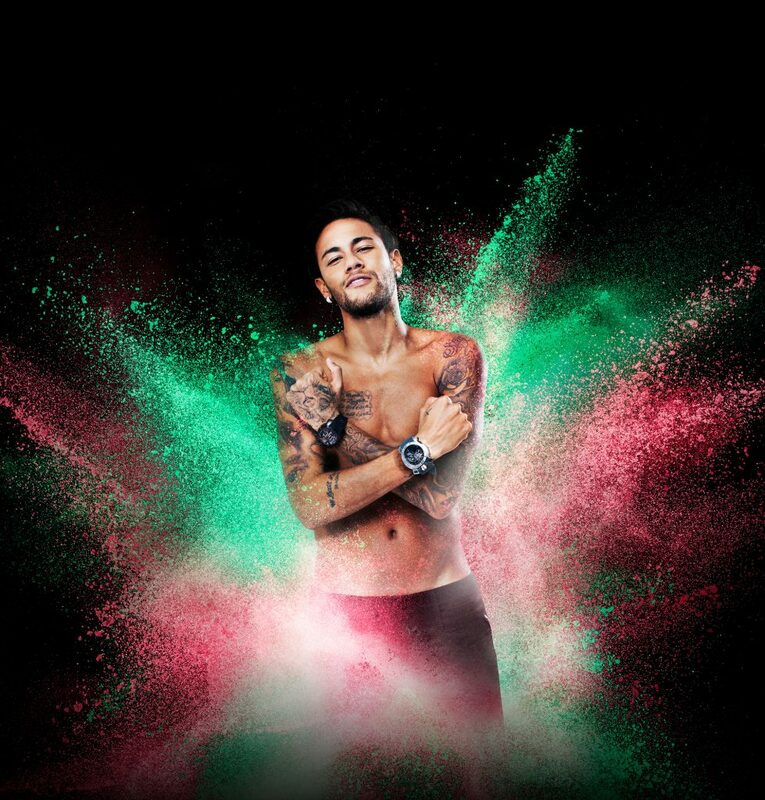 At Baselworld 2017, GaGà Milano has presented the brand’s new communication plan featuring Neymar Jr. as its protagonist and a capsule collection dedicated to him. 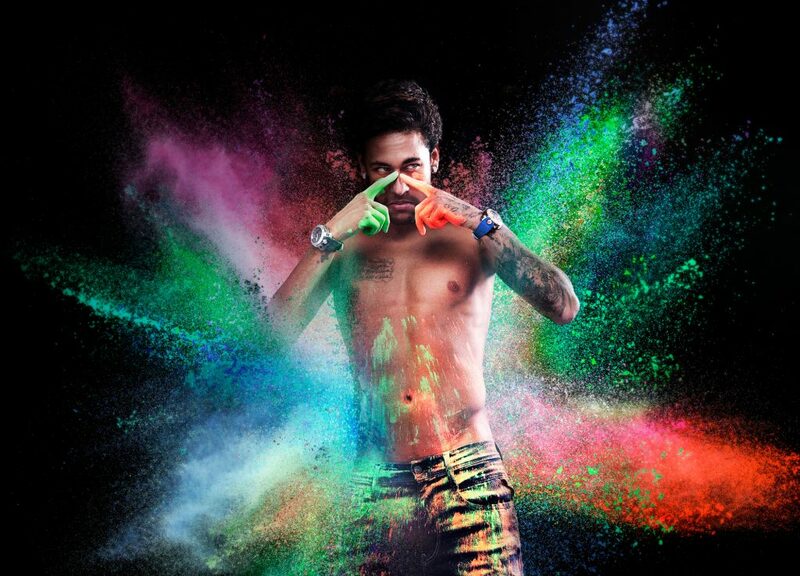 Neymar Jr. along with his inseparable “crew” of friends, who came from Brazil for the occasion, play with powders of color that have animated the whole campaign. Inside a shooting set totally white, appear the faces of the protagonists and some details of the watches GaGà Milano, suddenly, one of the friends of the Brazilian striker, running, launches to the group a handful of color. Thus began a real color fight that ended at the end of the spot with the framing of the wall behind the group that reproduces the colors of the dial of a GaGà Milano watch. At Baselworld 2018 GaGà Milano unveiled a new watch dedicated to Neymar Jr.; MANUALE 48MM CHRONO NEYMAR JR LIMITED EDITION with black IP case, stands out for the side portholes with natural floating stones and the brushed dial with NJR logo, numbers and indexes are embellished with natural stones with diamond cut. Three models of exception, in strictly limited edition, seal the deal with the brand, reproducing Neymar’s signature on the case back. The first three models of the collection are made on the basis of the Manuale 48MM, emblematic watch of the brand and proposed in steel and Kevlar versions, black PVD with carbon and gold-plated steel bezel. All three models have the NJR logo on the small seconds hand. GaGà Milano has worked with Warner Brothers and Sanrio to produce some exciting, engaging and emotional limited edition timepiece.